LOCKPORT, Ill. (WPVI) -- Some of the Midwest's biggest homegrown pumpkins were hauled Saturday to southwest suburban Lockport, Illinois, to compete in the Monsters of the Midway Giant Pumpkin Weigh Off. More than 15 growers from Illinois, Wisconsin, Michigan, Pennsylvania and Iowa brought their pumpkins to town for the weigh-off contest at Siegel's Cottonwood Farm. The top prize of $4,000 went to Joe Adkins of Wheaton. 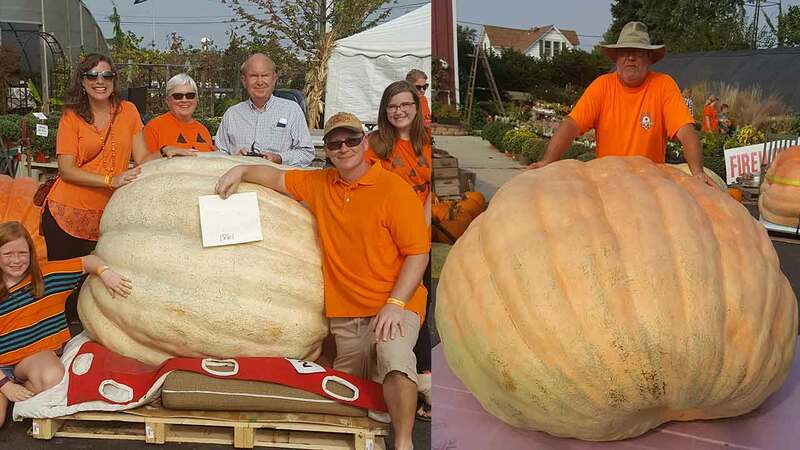 His pumpkin weighed 1,864 pounds. Second place went to Jeff Shenoah of Joliet. His pumpkin weighed 1,824 pounds. Third place went to Quinn Werner of Saegertown, Pennsylvania, who had a 1,746-pound pumpkin. The Howard Dill Award for the Prettiest Pumpkin went to Scott Bayuk of Joliet.